"I'm good. I'll go home and I'll get ready for Charlotte in a couple of weeks time and get ready for that and then obviously the PGA at Bethpage." It was almost as if Rory McIlroy was trying to lift the spirits of the press corp, not long after he signed off for a -5 total of 283 for the 2019 Masters. McIlroy's final round of 68 was the best of his four offerings. Thursday, Friday and Saturday brought him 73, 71 and 71. While some of golf's leading stars were lighting up Augusta National, McIlroy was trying to find the switch. The 29-year-old arrived at the year's first Major as 8/1 favourite (in America, he went as low as 6/1 in Ireland and the UK). He was the reigning Players Championship champ and he had a string of top 10 finishes to his name. Augusta pays no heeds to past deeds and the course is an entirely different beast. Just ask Justin Rose, another heavily-tipped contender, or last year's champion Patrick Reed. Stacked as the leaderboard was, on Masters Sunday, not all the top guns were there. Following his round, and while Tiger Woods was coming down the stretch like a locomotive, McIlroy spoke with the press pack about his latest Masters outing. 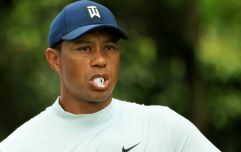 He admitted he may play a tournament the week before the 2020 Masters, to dial himself in, and identified the holes that hobbled his charge. "I don't know [what I will take from this week]," he began. "I mean like my game is still there. I hit a few loose shots and cost myself a few too many bogeys. And that was really it. "I think I played just... I played the par‑5s in 11‑under for the week. I must have played the par‑3s in about even or even a bit under par. So it was really the par‑4s." McIlroy was just off with his call on shots lost or won at the pars- 3, 4 and 5. 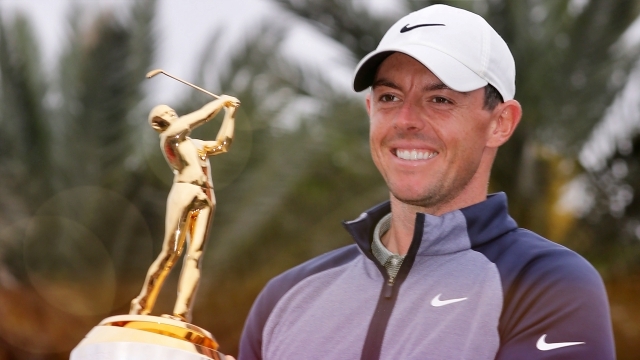 "And that's just putting myself out of position off the tee," McIlroy added. "And then once you get yourself out of position it's very hard to put yourself back in position. You miss greens, trying to get it up and down, you put pressure on yourself. "So my driving accuracy wasn't quite as good this week as it has been the last few weeks. And that was probably the main reason why I didn't contend this week." 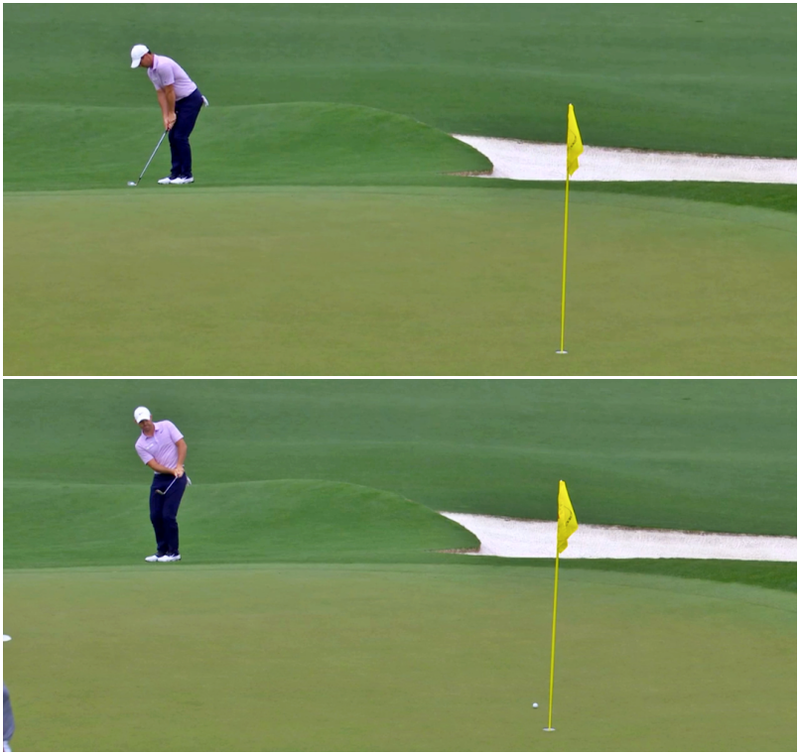 Looking at his shots on the 18th hole for the 2019 Masters - he played the 9th after starting his round on the 10th tee - and it really does sum up his failure to launch. It was McIlroy's 9th hole of the round and any birdie chance was undone by his approach. No issues with the drive on this occasion. On Thursday, McIlroy went way left off the tee and it cost him a shot. He found the fairway on Friday and got a par. The following day saw his drive bounce into a fairway bunker. His recovery shot from there landed in another bunker and his sand wedge out of that failed to find the top tier of the green - bogey. On Sunday, with a small but respectable batch of fans looking on, McIlroy made a clean connection and found the middle of the fairway. McIlroy had less than 130 yards to the green but he instantly knew he had undercooked his approach. "Go, go," he urged, but his shot was at least 20 feet too shy. It rolled off the green and McIlroy had a chip to make. A regulation tap-in and polite applause but McIlroy still seemed perturbed with the light approach that had cost him a birdie chance. For the four rounds, all week, the Holywood native was +2 on the 18th. That hole summed up McIlroy's week, flashes of class with the odd, costly blip. The 18th at Augusta National is as tough as extremely old boots, as are many of the par-4s. Most players usually attack the par-5s and try to get out of the 4s in one decent piece. That +7 return will trouble McIlroy a while yet as it cost him a run at that green jacket he covets so much.